The World Trade Organization (WTO) is a member driven multilateral organization that operates a system of international trade rules. It is the result of negotiations and its operations involve a significant amount of negotiations and consensus among the membership. One result of such negotiations is the General Agreement on Trade in Services (GATS) which outlines the disciplines on trade in services among WTO members. To ensure Member States comparability and consistency in commitments undertaken at the WTO, in July 1991, the WTO Secretariat compiled a services sectoral classification list (W/120). This is a comprehensive list of services sectors and sub-sectors covered under the GATS. The 160 sub-sectors are less detailed than the categories contained in the United Nations Provisional Central Product Classification (CPC). Within this classification, Engineering Professional services fall under Construction and Related Engineering Services (CPC 511 – 518). To ensure the regulatory environment in Member States are transparent and fair, in 1999 a Working Party on Domestic Regulation was established for the purpose of negotiations, and to replace the earlier Working Party on Professional Services. The Working Party is guided by Article VI.4 of the GATS and the Decision on Domestic Regulation (S/L/70) which call upon WTO members to develop any necessary disciplines for trade in services to ensure that measures relating to qualification requirements and procedures, technical standards and licensing requirements and procedures are administered in a reasonable and impartial manner. In the case of Belize, the services sector is governed from various sector specific regulations from medical professions to tourism related jobs. Among these services sectors are engineering services. In 2001, the Association of Professional Engineers of Belize (APEB) was formed to support the development of the engineering profession in the country of Belize and assist in the development of national disciplines for the expansion of trade in the engineering sector. Its vision is “to provide continuous development of an organization that will earn the respect of the community by providing exemplary services, applying the formal training and experience acquired to produce the best possible solution for clients at an affordable cost.” The APEB has been working with the government to ensure measures foster ease of doing business for local and international engineers. To date, the association has 83 registered members, of which six are women, who through the association have international ties with the Latin American grouping, the Pan American Association of Engineering Organization (UPADI) and regional secretariat, the Caribbean Council of Engineering Organization (CCEO). Membership to the APEB provides opportunities for professional development, participation in seminars, networking, and legal reform in the industry. UPADI hosts technical and professional conferences and CCEO provides training and networking opportunities in the areas of wind loads, building codes and other areas of interest to the engineering association in Belize. With the assistance of the Belize Coalition of Service Providers (BCSP), APEB has been able to access more information on professional employment and markets in Belize, and has strengthen its lobbying presence in government in order to improve the environment for professional engineering services in Belize. With respect to adequate procedures to verify the competence of engineering professionals between Belize and other CARICOM Member States, an agreement is yet to be reached. Both have been unable to synchronize the requirements (education and experience) for professional registration. Nationally, with ten locally owned firms and two foreign firms in the local engineering industry, a coherent and enforceable regulatory framework is required to manage the industry. Currently, the Belize Building Act has positively affected the engineering industry by providing standards; however, the weak enforcement of the legal framework places the industry at risk. Additionally, as Government procures the services of foreign firms without requiring local partnership, especially with large projects, it may weaken the industry. The most recent development in the engineering industry was the amendment to the Belize Building Act Chapter 131 of the Substantive Laws of Belize, Revised Edition 2011, SI 39 of 2017. The amendment’s objective is “to strengthen and clarify the relationship between the Central Building Authority, Local Authorities and Local Building Authorities; and to provide for matters connected therewith or incidental thereto.” However, more needs to be done. 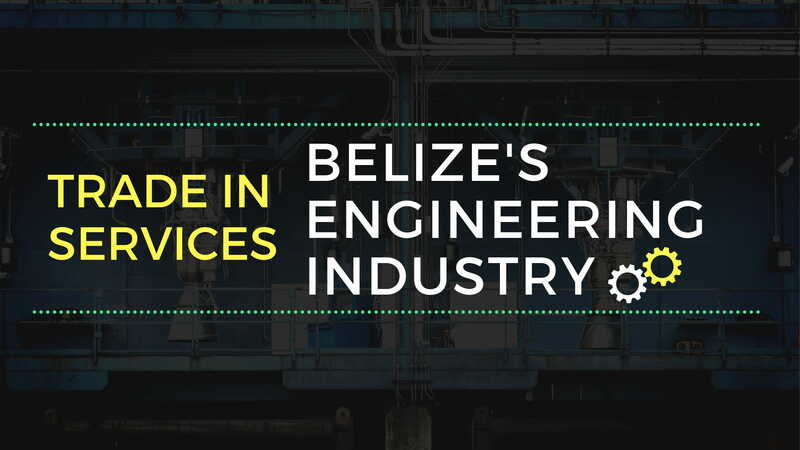 Currently, foreign engineers can provide services in Belize without registering with the Engineering Association, which should be illegal because it does not ensure uniformity in the industry. Additionally, a number of persons are posing as engineers without the proper qualifications; thus, putting the general public at risk and damaging the reputation of the profession. Despite the challenges, the demand for engineering services continues to grow with the highest demand coming from the Belize district. This is no surprise due to the majority of engineering services located in Belize City. As a highly skilled professional industry, the potential for local and international growth is immense. The export market is primarily the Caribbean. Looking ahead, there is optimism for a well-organized engineering service sector which would be firmly poised to effectively take advantage of the domestic market as well as foreign and more diverse markets. As the CARICOM Single Market and Economy (CSME) integration deepens, trade in engineering services within CARICOM is likely to increase. The free movement of professionals under the CARICOM Skilled Person’s Regime, mutual recognition of qualifications and better Information and Communication Technology (ICT) links will enable trade in engineering services to increase via the internet and within countries. World Trade Organization W/120 sectoral classification: Business Services; Communication Services; Construction and related Engineering Services; Distribution services; Educational Services; Environmental Services; Financial services; Health related and Social services; Tourism and Travel Related Services; Recreational, Cultural and Sporting Services; Transport Services; other services not included elsewhere. Antigua and Barbuda, Bahamas, Barbados, Belize, Dominica, Grenada, Guyana, Haiti, Jamaica, Montserrat, Saint Kitts and Nevis, Saint Lucia, Saint Vincent and the Grenadines, Trinidad and Tobago and Suriname. The National Authority leading trade and linking the domestic supply chain to compete in the global market.